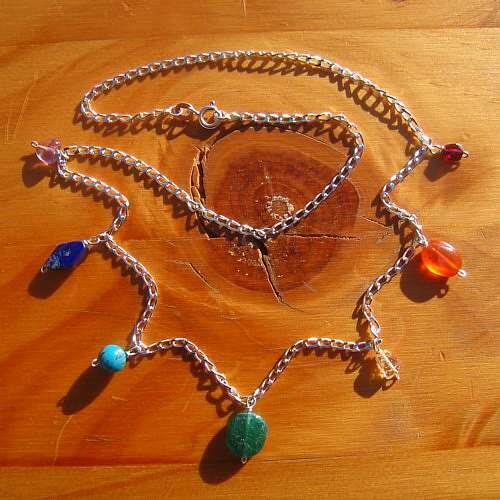 Chakra necklace jewellery carved crystals. 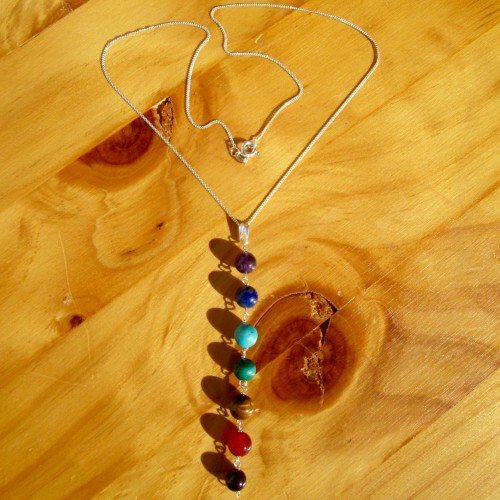 Each of the carved crystals and semi-precious stones corresponds with each of the seven main chakras. 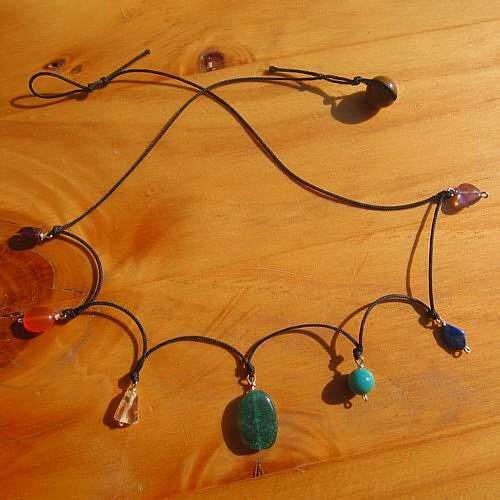 So, you will have amethyst, lapis lazuli, turquoise, malachite, citrine, carnelian and garnet. First of all, I set each crystal on to silver wire. Then I tie each, in order, on to strong black nylon thread. 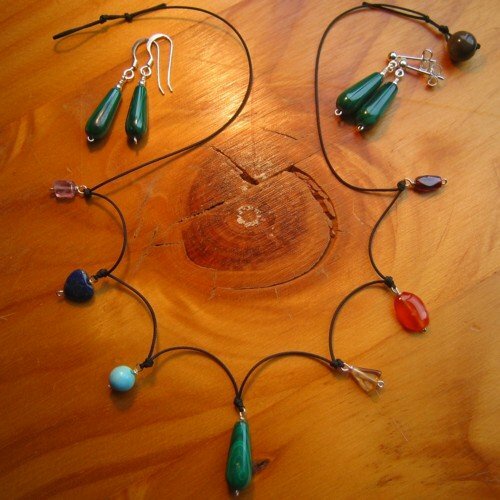 As a result, by wearing your “chakra necklace jewellery carved stones” you are carrying all the chakra crystals with you. 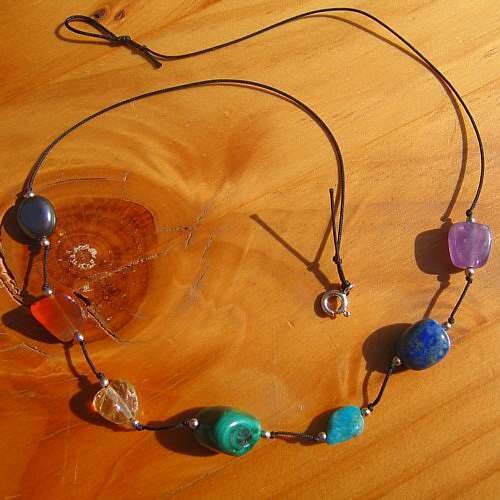 Besides that, clients love the look of this necklace and for that reason, it will certainly get noticed. Wear as often as you like. Some clients wear them night and day! Sizes are approximately 16″/40cm and 18″/45cm. Necklace only, earrings not supplied.